As a child, he loved to be in the kitchen. And although is name is often mentioned in the same breath as the great French Chef Escoffier, Jean Anthelme Brillat-Savarin didn’t aspire to chefdom. But he DID like the results of the work of Chefs. (uh….that would be…..food?). So, you’re thinking – this guys a gourmet right? Well, not exactly. 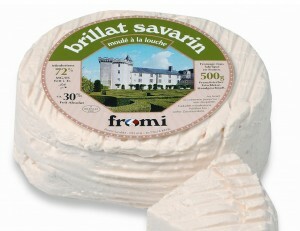 Brillat-Savarin was an epicure. But this was not his main gig. B.S. was a lawyer and a politican(double-trouble) during the latter period of the French Revolution (circa -1792) He was making a reasonable name for himself. One noteable accomplishment being a speech against capital punishment. However, during those volatile times, you could be a member of the elite when you went to bed, and wake up to find they were coming to take you away ha! ha! That’s pretty much what happened to our epicure. So, B.S. did the only, decent respectable thing. He got outta Dodge! First stop was Switerzland. Then Holland. But, because third time is always the charm(and Holland is basically, grey, very grey, or very grey and wet) those brand spankin’ new excited states of America were Savarin’s next port of call. Like every stranger in a strange land, Savarin faced the usual, immediate question: “How am I going to eat?”( Particularly crucial in his case.) The every resourceful(you assumed “cultured” right? )epicure aced the blue meanies by giving French and Violin lessons. 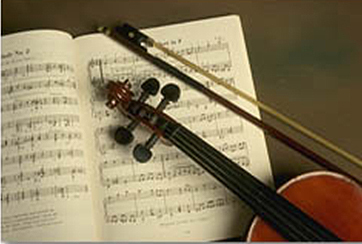 At one point he was even first violin in the local orchestra. 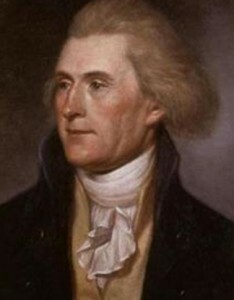 His sojurn in Connecticut gave him the opportunity to meet Thomas Jefferson. Guess what they talked about. You’re ahead of me again dear reader, are you not? Yes, the subject was Turkey recipies! When the winds of change began to blow favourably again, Savarin returned to France, and managed to parachute into (what was to be) a lifetime gig as a Supreme Court Judge. But that, clearly, was just his day job. Savarin’s true love and passion was food. In all it’s aspects. And in the elite circle of Parisien Society in which he travelled, this passion was both reciprocated and further informed. 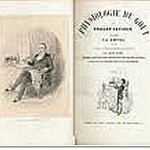 One of his pals, the renowned pathologist Jean Cruveilhier was an expert on gastric distress, which lead Savarin to further ponder and further investigate the effects of certain foods on digestion. This interest resulted in essays regarding food preparation, nutrition and cures for obesity and anorexia. Beause Savarin believed that white sugar and flour were the cause of obesity, he’s considered by many to be the Father of the low carbodhydrate diet. Like Oscar Wilde(but not, obviously, to the same extent) Brillat-Savarin graced us with some witty, pithy aphorisms (and aren’t they the best kind?). All concerned (surprise, surprise) with food. He also had a cheese named after him. As well as a street in Paris. Which, unfortunately, looks like any graffti strewn inner-city by-way. “le rue Brillat-Savarin.” N’est ce pas? 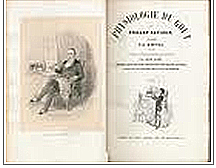 Sadly, the book that was Savarin’s greatest accomplishment and legacy – The Physiology of Taste, was only published two months before his death. And at that, anonomously. So, to his peers, B.S was just a Judge nutty about great grub. But to anyone who lingers over that book, it’s clear that Brillat-Savarin was a poet – who wrote about food. Before some other punster beats me to it – let me say – Your post on Brillat is Brillant! Savarin looks to have been a trut “reniassance man” of his time. Although his love of food definitely ties him to the “Fathers of French Cuisine”,it’s clear that “B.S.” was, in many ways, a more “rounded” individual. 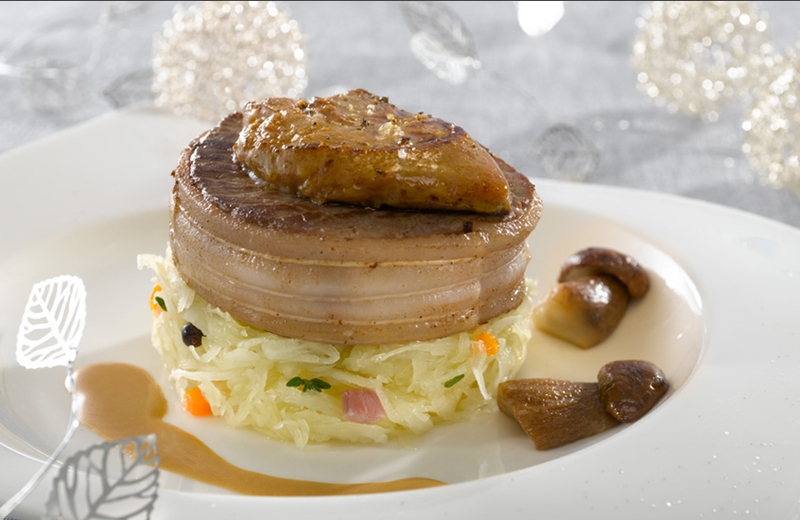 While having a cheese named after you is better than a street named after you….Savarin managed to do both! (among many other things) Thanks for cluing us in. Is Savarin the only one in the history of French Cuisine who’s written a book like the Physiology of Taste? 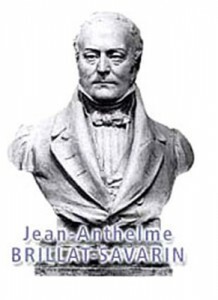 In terms of overall accomplishment, and contributions, compared to those of the “Fathers of French Cuisine” you so expertly profiled – I rate Brillat-Savarin Number one. I think Savarin left a greater legacy than Escoffier, et al, by reminding us that food is really the center of life. too bad there was no tv in Savarin’s time. He surely would have been been superstar of the small screen. I’d heard “tell me what you eat, and I will tell you who you are” before, but not the rest of Savarin’s sayings. Very cool! Thanks to your post – I’ve tried “brillat-Savarin” cheese. YUM! Especially with a tokay pinot gris! 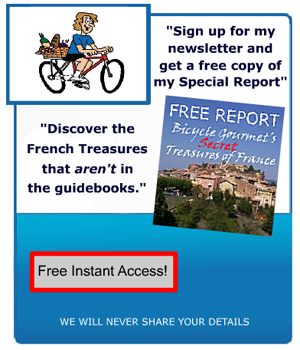 Better to be the “father” of the low carbohydrate diet, than a “Father” of French Cuisine? Not clear from your article on Careme(orphaned during the French Revolution)and Savarin (exiled during same) if,in fact,they lived at the same time. while i enjoyed this post, and your preceding “fathers of french cuisine” series – i would welcome your take on some of the women who are, and have been influential in French Cuisine. The consistent quality of your reportage is a breath of fresh air in the fetid swamp of internet blogs. Stay fresh. has anyone follwed Savarin’s lead?…and gone further?….or produced a companion/associated book? in your extremely complete post – only more details of Savarin’s love life are lacking. Assuming, as you’ve inferred, that there are none. Savarin was obviously someone who “followed his bliss” to the max! A good reminder to all of us who don’t. added that the majority of us don’t……..true, of course…but not to worry……even saints had the same problem…. Not to take anything away from Savarin’s accomplishments, but….I think we need to remember that as a supreme court judge, he certaintly had no material worries! plus- as a member of “elite” society he had tons of time ,and resources, to do whatever. anyone who come up with something as cool as ” a dessert without cheese is like a beautiful women with only one eye” is someone I’d wait in line to have a meal with! His opposition to white sugar and flour are just more evidence that Savarin was WAY ahead of his time. Unlike a lot of people in his position, and with his advantages, it’s clear from your post that Savarin had genuine interests in many things. Not just a luxury life. Savarin is well regarded man here in Japan to people with gastronomy interests. Very nice for you to write this which we enjoy so much. juding from the letter to his (i assume) young cousin…Savarin confirms that “dirty old men” are present in every era! It’s clear from your post that Savarin was that rare combination of philosopher and adventurer, who with genuine curiosity sought out,thought out, and wrote about, what it means to be alive to all your senses. all i can say is this is one of your best. keep it up! This post, and your “fathers of french cuisine” have been great, informative post. But, surely there must be some Women who have contributed also? Nice to hear about them also. your readers may be interested to know that here in germany there are “Savarin Circles”, where we discuss and share his work and ideas. So, we thank you for bringing this great man and his work to wider public knowledge. The obvious question, for me at least,from this post is : Are there any “Savarins” in our generation? 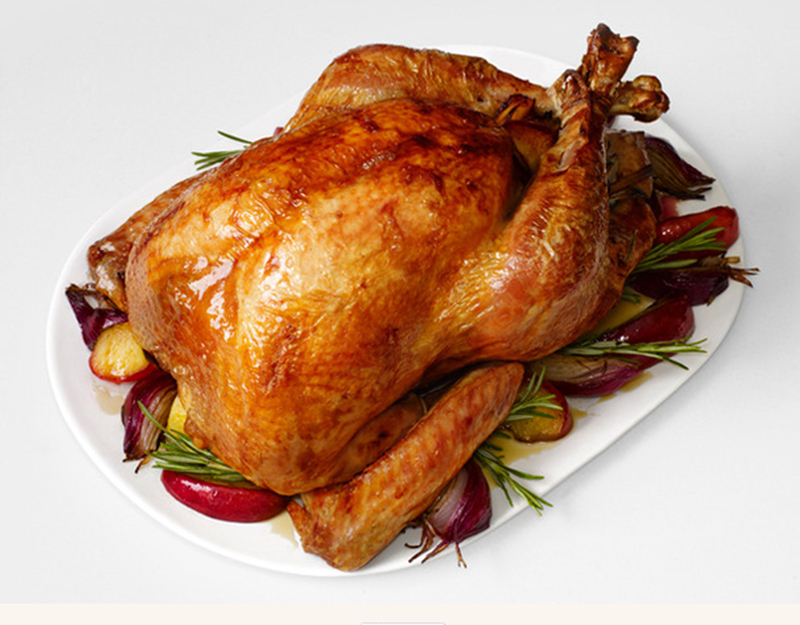 Or is the best we can do – gourmets? 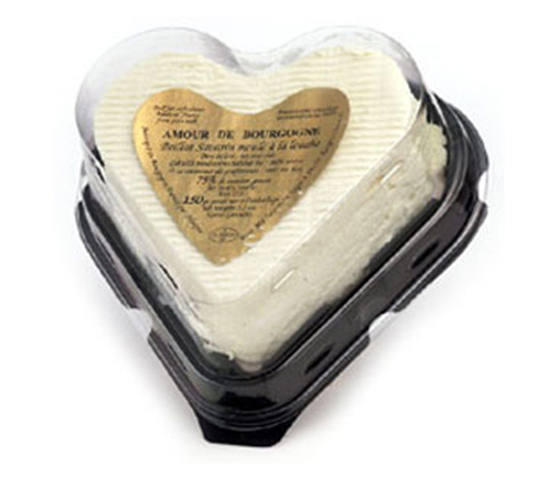 in this age of fast food and instant everything, we could definitely use another Brillat-Savarin – to get us back to savoring and appreciating our food, instead of destroying it. All this food stuff is getting up my nose! Howsabout gettin’ back to YOUR experiences? That’s the stuff I dig….not all this old guy guy crap. Really enjoyed this post…..and the last ones about the chefs. Hard to believe that a politican/lawyer copuld be so absorbed in a subject so totally removed from what you would expect. But, glad that he was. Fascinating life. Many thanks!